The AirSense 10 AutoSet is a premium auto-adjusting device for treatment of sleep apnea. It automatically adjusts the pressure levels to meet your changing needs , to ensure you are receiving the lowest pressure necessary. It has an integrated humidifier, and has the possibility of wireless communications, helping you to stay comfortable and more connected to your care team of sleep apnea. The new AutoRamp ResMed feature with sleep early detection provides an initial low pressure that helps patients fall asleep more easily. Once detects sleep, your CPAP device gradually increases the pressure to ensure that the level prescribed is delivered at the required time. The consistent humidification throughout the night with HumidAir ™ integrated humidifier and the optional ClimateLineAir ™ heated tube with Climate Control technology can provide a more comfortable experience. 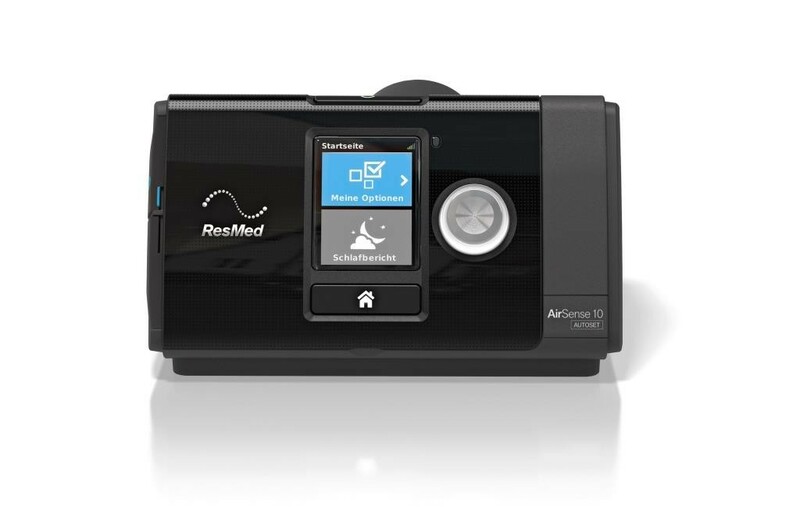 The CPAP device AirSense 10 is designed to facilitate therapy. It has no settings or complicated menus to navigate : just press Start and you 're ready to start . The quiet Easy -Breathe motor helps promote a peaceful environment for those who sleep on the side. Friendly controls , intuitive interface and color LCD make it easy to navigate through menus and customize the comfort settings. The SmartStart ™ function starts your sleep apnea therapy as soon as you breathe into the mask . When you remove the mask , it stops automatically after a few seconds . The built-in sensor ambient light adjusts the brightness of the room. So if you need to get up during the night , the screen backlight will not bother his / her partner ( a) bed. The light also turns off automatically , so you can go back to sleep without disturbance.